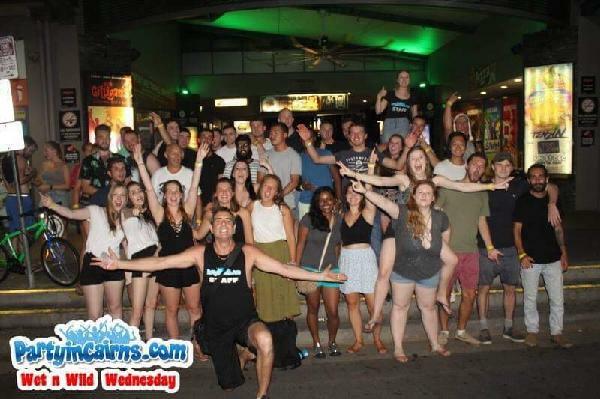 Come join the PartyinCairns crew as they take you on a crazy night of partying in Cairns best pubs and clubs every Monday, Wednesday, Friday & Saturday night. PartyinCairns has now been voted Australia's best pub crawl for the past 9 years. It is by far the best way to see all of Cairns' favourite bars in 1 night with no line ups or cover charges. It's also a whole lot of fun that includes awesome "ice breaker" games to make new friends and now includes over $500 worth of actual value. HIGHLIGHTS INCLUDE - dance competition with $100 prize & beer pong tournament with $100 prize. Great value for money, good way to meet people! Great value for money, good way to meet people! All the bars were great except the 4th one which didn’t really fit the mood after woolshed. Good amount of time at each place and good order of bars to go to. Highly recommend! Your message has been sent to PartyinCairns Pub Crawl. You should hear from them shortly. Please note: all responses will come directly from PartyinCairns Pub Crawl, and not the team at Bookme.